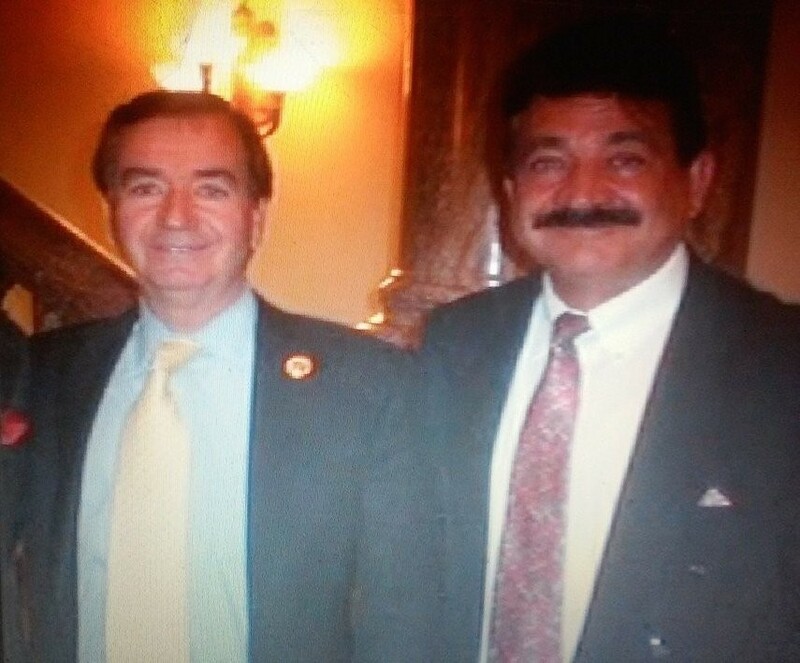 The revelation that Orange County congressmen Ed Royce (R-Fullerdrunk) and Dana Rohrabacher (R-Zhawar) palled around with the father of Orlando mass murderer Omar Mateen is not surprising when you consider what you already know about the two longtime GOP warhorses and what has now come out about Seddique Mateen. The elder Mateen, who is in his 70s, is a life insurance salesman who posts rambling political videos online, including one where he refers to himself as the “revolutionary president” of Afghanistan. “Due to a lack of planning, and resultant economic crisis, I, Seddique Mateen, am declaring myself as a candidate for the presidency in order to rescue Afghanistan,” he says in a video dated May 23, 2015. “Afghanistan’s sovereignty is in danger due to the free hand of foreigners on our territory, and the result is that 95 percent of the country is not under the government’s control,” he said in reference to Pakistan. Daniel Hopsicker’s MadCowNews describes the father of the monster who slaughtered 50 people in an Orlando nightclub shooting Saturday night as “a longtime CIA asset.” In March, Mateen was granted a corporate license by the State of Florida to operate his group called The Provisional Government of Afghanistan. Kabul-based political analyst Ahmad Saeedi reportedly told the Associated Press that few in Afghanistan know who Mateen is, noting that his videos only generate views in the hundreds. So the question is, is (or was) Mateen a spook or a kook? He was a vehement anti-Communist captain in the ranks of the mujahideen that fought the Soviet occupation of Afghanistan starting in 1979. 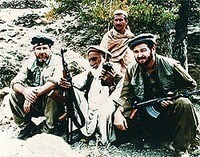 That could have had him rubbing overgrown beards with Rohrabacher in the trenches were it not for this fact: Huntington Beach’s Surfin’ Congressman (and vehement anti-Communist) did not accompany mujahideen fighters—some of whom later joined the Taliban—until shortly after his first term started in 1988. Mateen came to the U.S. three years earlier. Once in the States, Mateen promoted himself to general, according to Saeedi. But it was a short reign; the Soviet-Afghanistan war ended in 1989. In 2010, Mateen started a group called Durand Jirga, Inc., which is named after the Durand Line, the long disputed border established by the British between Afghanistan and Pakistan. Speaking in the Dari language on the Durand Jira Show, Manteen has blamed Afghanistan’s ills on all variety of folks, but most notably Pakistan’s intelligence agency, the ISI. Durand Jira Show appears on the satellite television network Payam-e-Afghan, which is based in Los Angeles and supports ethnic solidarity with the Afghan Taliban, which are mostly Pashtun. The AP reports having viewed an April 2015 video where Mateen said he and his supporters had called on the Taliban to join the peace initiative by current Afghan President Ashraf Ghani. Royce, who was first elected to Congress in 1993, has been a longtime champion of the U.S. government broadcasting propaganda into foreign countries, especially those that are sworn enemies of or, at best, squishy about America. Legislation Royce authored in 2001 created Radio Free Afghanistan. MadCowNews claims the Durand Jira Show receives funding through another Royce baby, Voice of America, and that it is a televised stooge for the ISI and CIA. Chairman of the powerful House Foreign Affairs Committee since 2013, Royce has spoken about the tortured relationship between U.S. ally Pakistan and U.S. enemy the Taliban. He recently remarked that he hopes Pakistanis are waking up to the fact that the Taliban is no friend of their country. I’ll vouch for Royce on one point. Hasan Nouri, a Pashtun who advocates for orphans in war zones, works as a civil engineer in Orange County and once graced an OC Weekly cover, has contributed to Royce campaigns over the years and has spoken to congressional committees in D.C. at the invitation of Royce and Rohrabacher. But Royce’s vague memory of what he and Mateen talked about is curious given what a motormouth the Afghan has been about his home country’s relationship with Pakistan and the ISI. In one Mateen video, he accuses President Obama of supporting ISI and urges U.S. funding to Pakistan be cut off. Many Afghans harbor similar views when it comes to perceived Pakistani meddling in internal affairs. “Today I join with my fellow Americans in mourning the slaughter in Orlando. I also join them in their outrage and their renewed commitment to defeat and destroy the radical Islamic movement that fosters such mayhem. At the same time, we must be sure not to label all Muslims as terrorist murderers while at the same time realizing radical Islam is a primary factor in the terrorism we face today. “Over the years I have been deeply engaged with people from Islamic countries, especially Afghanistan. In fact, my records indicate that on Nov. 18, 2014, I was paid a visit by Seddique Mateen, father of the Islamic terrorist who committed the heinous mass murder in Orlando. I am regularly visited by a multiplicity of figures with various stakes in, and perspectives from, that troubled region. I simply do not recall that specific meeting, but, from what I have learned in the last hours, there is no way I associate myself with his views. “I do my best to acquaint myself with those personalities involved and to get a better understanding of their ideas and information about what’s happening. I have a long history with many of the actors in Afghanistan, indeed a personal relationship with the current leadership of that country. It appears Mr. Mateen labors under delusions about his own power and influence. He is unmistakably an estranged individual there. 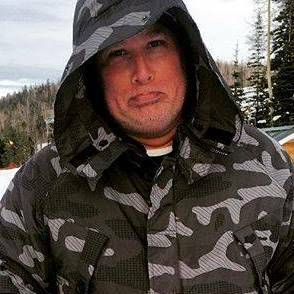 We may say that his son, likewise, was an unhinged individual in this country, but unfortunately he was all too hinged to the Islamic State advocates of a caliphate in America, who have declared war on us. Some would argue it takes the unmistakably estranged to know the unmistakably estranged. BTW, Mateen was back in the nation’s capital in April, when his Facebook shows images of him posing in front of State Department offices and the Democratic Foreign Services Committee offices. He was there to advocate for U.S. intervention between Pakistani and Afghan fighters, the Washington Post reports. No word on whether he swung by to say whassup to Ed and Gunga.